Ready for Summer? Check out our great Spartan Day and Sport Camps options! The Spartan Day Camp is entering its 50th season of serving as a great place for children to spend their summers. We are centrally located in Newark/Wilmington Delaware and offer a wide range of summer activities for kids of all ages. Our Spartan Camps purpose is to provide a well-planned program of varied activities under the supervision of camp counselors. where children share activities with others their age. In camp a child learns teamwork, cooperative sharing, and consideration of others. Mild competition under proper supervision gives the camper a healthy attitude toward many skills so they are able to participate in many new activities. 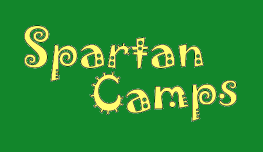 Spartan Sport Camps offer a variety of camps. Each camper will work closely with a dedicated and knowledgeable coach. Before and after care services are available! Visit www.spartancamps.com for more information!